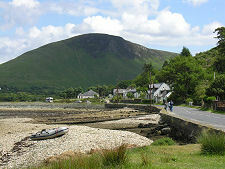 Perhaps the most scenically attractive of Arran's villages, Lochranza is located on the loch, Loch Ranza, from which it takes its name. Surrounded on three sides by hills and facing the imposing grey ruin of its castle placed dramatically on a shingle spit sticking into the Loch, a visit is an essential part of any trip to the Isle of Arran. 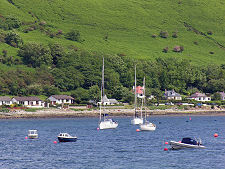 Yet, traditionally, Lochranza has been much less visited than the resort villages of Brodick, Lamlash, and Whiting Bay in the east and south east of the island. A number of factors are helping remedy this. 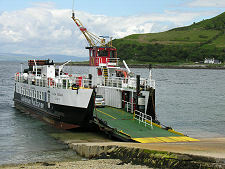 The first is the popularity of the ferry route from Lochranza to Claonaig, on the Kintyre peninsula south of Tarbert. 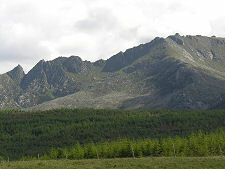 This provides a "back door" to the island and offers a range of options for those interested in incorporating Arran into a wider tour of western Scotland. 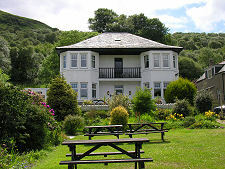 Another major recent development in Lochranza was the formal opening by the Queen in 1997 of the Visitor Centre for the Isle of Arran Distillery. 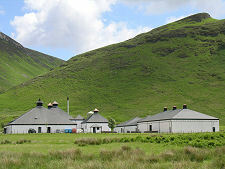 The distillery itself had begun production in 1995 and was the first (legal) distillery on Arran for 160 years. 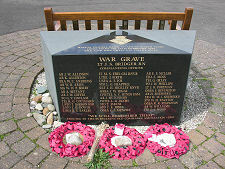 It can be found in purpose built premises at the southern end of the village. 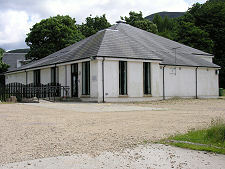 The village is also home to a specialist field studies centre catering for a wide range of courses including geology, something the north end of Arran has a great deal of. Finally, the reopening of the long-closed Lochranza pier in 2003 has meant that passenger vessels such as the Paddle Steamer Waverley can once more call at Lochranza as they did during the heyday of the Clyde steamers. 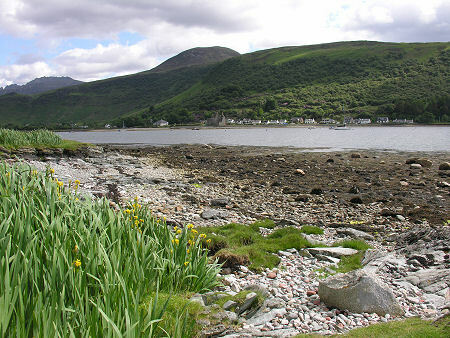 Lochranza itself lays along both sides of the loch it is named after, though the main focus of activity is on the south western side. The mouth of the loch on this side is home to the ferry slipway, and as you progress along the shore from here you pass a string of cottages, hotels and guest houses and the village hall. Beyond the head of the loch is the field centre, a church dedicated to St Bride, a caravan and camping site, and the distillery. 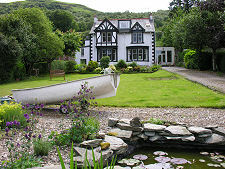 The north east side of the loch is home a narrow road backed by cottages, while Lochranza Golf Club occupies the land at the very head of the loch itself. Amongst the hazards you might expect on a golf course are others you might not. The area around Lochranza is home to a large population of red deer, and these can often be seen grazing on the golf course itself. The mountainous surroundings also make this an ideal location for golden eagles, while the shore of Loch Ranza is the place to look for the seals that are often on view, and the otters that can sometimes be glimpsed by the more observant. 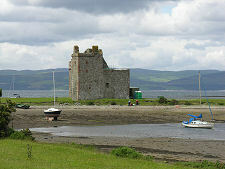 Geographically, Lochranza is very much focused on one of its longer-lived attractions,Lochranza Castle. 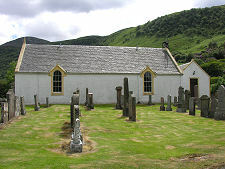 This is superbly located on a curved shingle spit that projects from the southern side of Loch Ranza. It has been claimed that Lochranza Castle has literary connections, being used as the basis for the castle in the Tintin adventure "The Black Island". Fans of Hergé will have to decide for themselves. The castle's origins date back to the 1200s though much of what is visible today is the result of rebuilding in the 1500s. 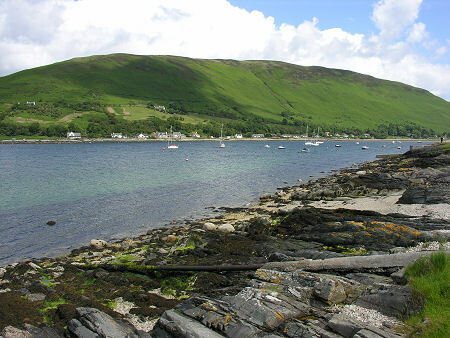 In slightly more recent times, Lochranza was a major herring fishing port, with the loch sometimes sheltering hundreds of small herring boats at a time. When the herring disappeared, many of the fishermen turned to other forms of seafaring. 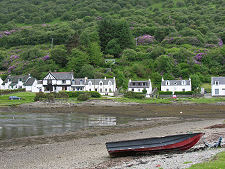 It is said that more of Scotland's master mariners came from Lochranza than from any other west coast village. And one final delight remains. Visitors who find their way to Lochranza via the traditional "clockwise" tour of the island, or via the ferry from Kintyre, will be amazed by the sight that greets them as the road crests the end of the glen south of Lochranza on the road to Corrie and Brodick. Here you are confronted by some of the most jagged, brutal and stunningly impressive mountain scenery anywhere in Scotland. This is on a par with the Cuillin of Skye, but benefits through being smaller in scale and much closer to the road.